What a pleasant surprise this place is. I've been in this pub under different names many times and nearly avoided it as a potential before a gig at Koko last week, glad I didn't. I noted that it had been done up as I walked through the doors. Nice, contemporary look, 'so what', I thought. The bar was busy, but I was served within a minute or two. The bar staff were quick, efficient, knowledgeable and friendly. I was joined by my party and got a round in, similar service. So we decided to the give the food a go. Cheap and decent. This wasn't the time to pay �14 for a main. The food was a little slow out of the kitchen but it did the job. By this point we'd been in there a couple of hours, enjoying the busy atmosphere. I went to the bar for a final round and the original barman remembered my order!? Good lad. Would use this place again. Had a 3 hr stop over at Euston,took a walk and found this pub now called the Lyttleton arms,had a tasty pint of old speckled hen and tried the menu. 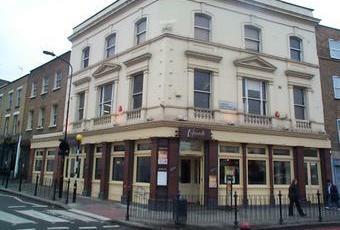 I found the food superb,the staff very attentive,and enthusiastic about the food on offer. 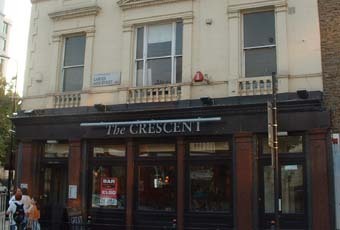 Overall,I enjoyed my short visit to this pub,and would happily recommend to anyone visiting this part of London. This place is now called the Lyttleton arms after the late jazz musician Humphrey Lyttleton , it is a vastly improved pub with 5 real ales priced between �3 and �3.40 a pint , an interesting selection of draft and bottled lagers including brooklyn and sierra nevada , the cider selection could be better and i have yet to eat there but first impressions are favorable . Will return next week .